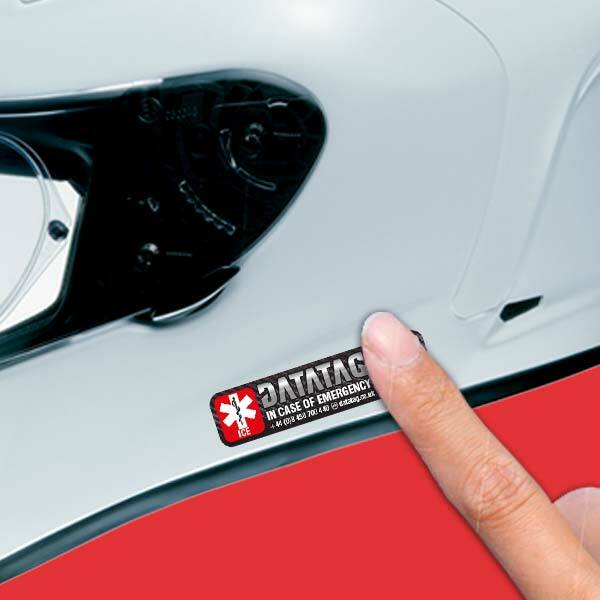 AT THIS TIME THE IN CASE OF EMERGENCY DECAL HAS BEEN DISCONTINUED AND IS NO LONGER AVAILABLE. 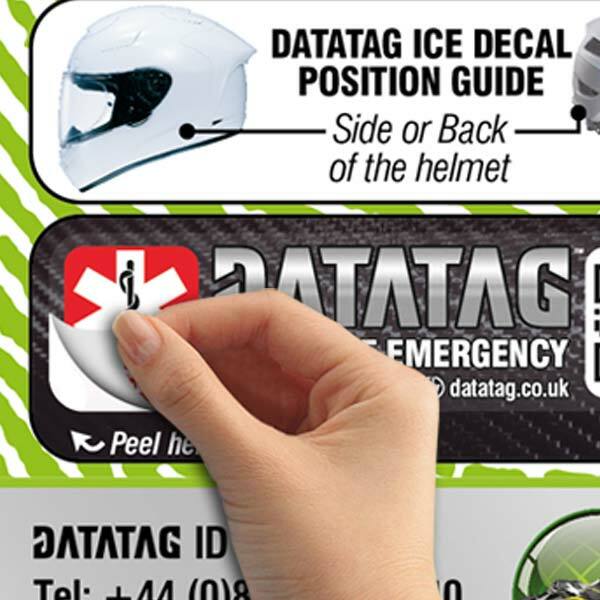 THIS PAGE OFFERS INFORMATION/ADVISE TO THOSE CUSTOMERS WHO MAY HAVE AN ICE DECAL WHO HAVE NOT REGISTERED WITH DATATAG TO DATE. What is the Datatag ICE Decal? No one wants to think about accidents but sometimes, no matter your skill level or care and attention to the conditions, accidents can happen. Whether on a motorcycle, bicycle, Jet-Ski® or horse, when things go wrong and you find yourself in need of help, it's vital that the emergency services are able to identify who you are to access your medical records and contact your family/friends! This is especially important if your sport takes you out into the countryside or away from other people. 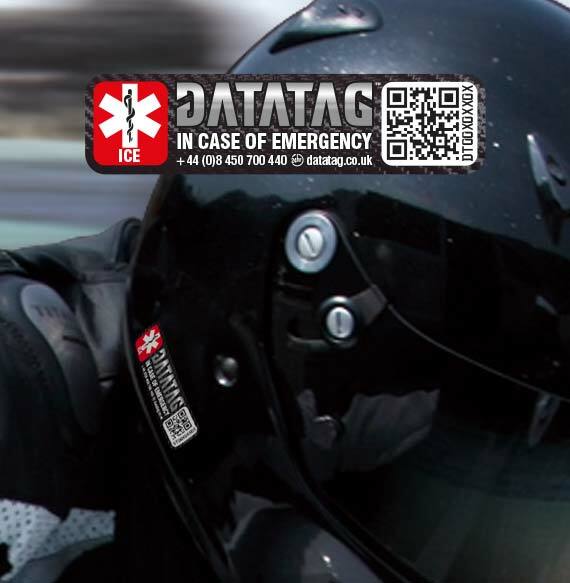 To help ensure that no matter what your condition, this critical information is available to those who need it, Datatag have introduced their own In Case Of Emergency (ICE) label using QR code technology to link your emergency contact details through to a central secure database. This allows the fast and accurate identification of a casualty by the emergency services in those vital first few minutes. 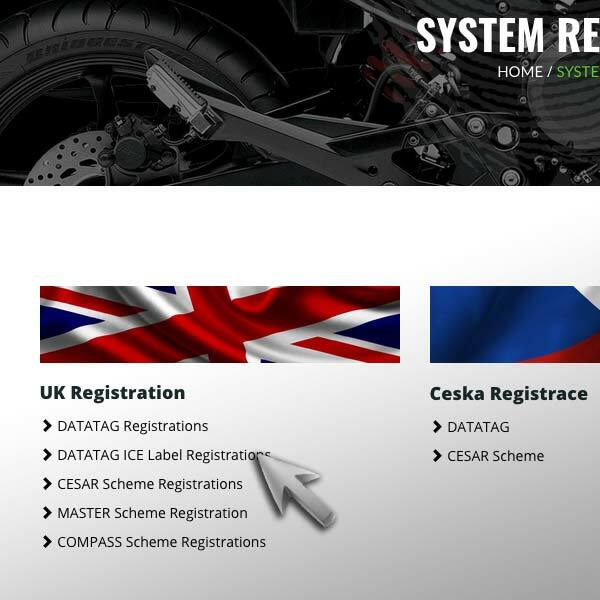 Best of all online registration of your Datatag ICE label is FREE. Select the area you wish to place the Datatag ICE Label. 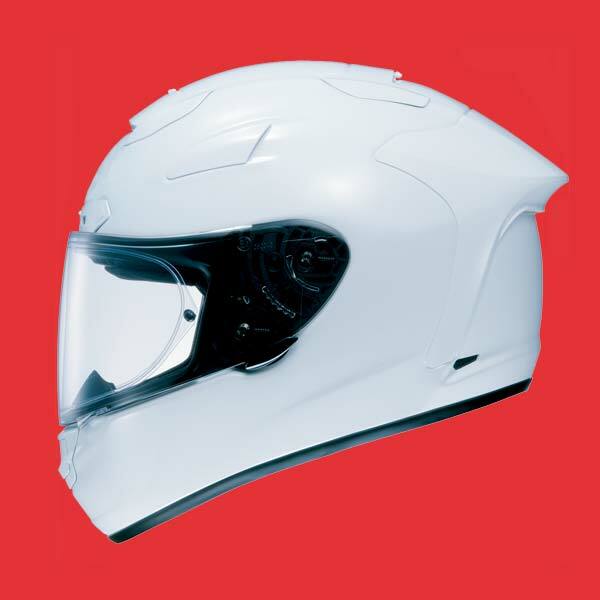 Ideally choose a prominent position on your helmet, but not one where the label will be damaged by general wear and tear. 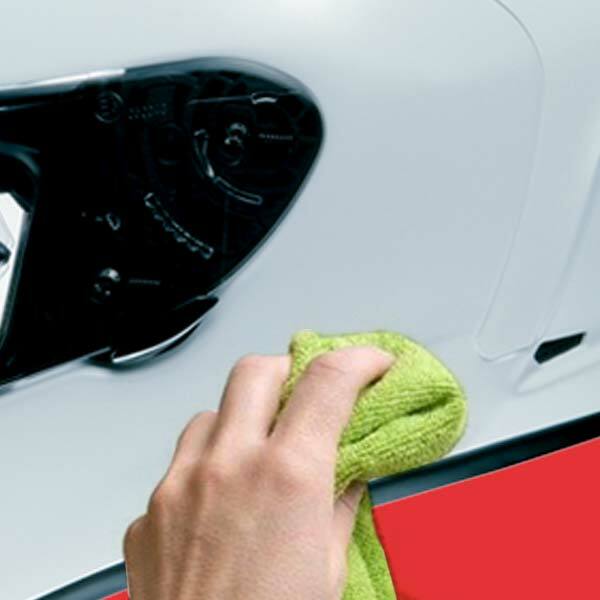 Ensure that the chosen area is clean and dry. Carefully peel away the backing paper from the label and offer up to the helmet. Try and hold the label by its edges to avoid contaminating the adhesive face of the label. Gently place the label onto your helmet in the chosen place and press into place, smoothing out any bubbles or air pockets. Please note that once the label has been applied it is very difficult to remove and may rip or tear if you try.